VW enthusiasts will be pleased. As more and more automakers wave goodbye to manual transmissions in the United States, it is becoming harder for manual enthusiasts to shop for new cars. Audi no longer offers a manual transmission in the US but its parent company Volkswagen is "fighting hard to keep a manual in its lineup," according to Serban Boldea, Director of Product Marketing for VW. We had a chance to speak with Boldea at the launch event for the seventh generation Jetta GLI, where we were able to discuss the future of manual transmissions for VW in the US. Based on our conversation, the future looks bright. For starters, a manual transmission is "absolutely" planned for the next generation Golf GTI and beyond, so you won't have to worry about it becoming auto-only like some other cars. Right now, the take rate for the manual in the GTI is "around 50-50," says Boldea but he expects the manual take rate for the GLI to be "around 30%," because "many customers are just looking for the nicest Jetta" and are not necessarily enthusiast drivers. We can easily see someone walking into a VW dealership not knowing what they want and walking out with a GLI because it happens to be the most expensive and well-optioned Jetta available. 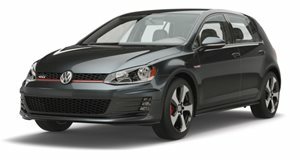 The Golf GTI, on the other hand, is a car bought by shoppers who specifically want a hatchback with a manual transmission. After driving both versions of the Jetta GLI, we can honestly say we'd be happy with either the six-speed manual or seven-speed DSG. The manual feels quite good, though if you plan to tune the car or like to drive aggressively on back roads, we highly suggest opting for the DSG. VW has made both transmissions available on all trim levels, which is an extremely rare move in this day and age. 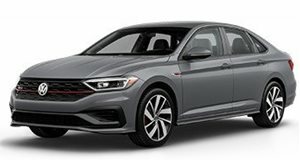 Pricing for the 2019 Jetta GLI starts at $25,995 for the base S trim and goes up to $26,795 if you get the DSG. The decision is yours but it seems like there's no wrong answer here no matter which transmission you choose.